2. Valid at Pepperfry website. 3. Valid for 1 year from the date of issue. 4. 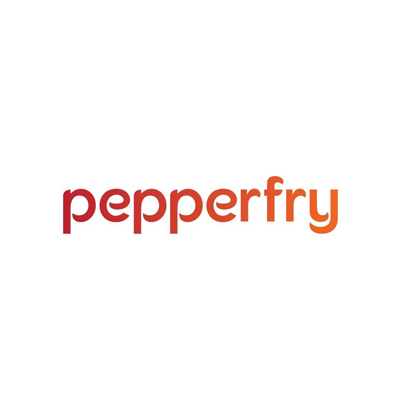 The Pepperfry voucher is issued by Qwikcilver Solutions Private Limited. 5. You can combine up to a maximum number of 5 vouchers in a single order at the time of checkout. 6. If the order value exceeds the Pepperfry voucher's amount, the balance must be paid by Credit Card/Debit Card/Internet Banking/Wallets. 7. In the event of any misuse of Pepperfry vouchers due to loss of any such confidential details due to the fault of the purchaser, Qwikcilver, Trendsutra Platform Services Private Limited (Pepperfry.com) or their affiliates shall not be responsible for the same and no refund can be issued. 8. Qwikcilver/ Pepperfry.com reserves the right to cancel the Pepperfry vouchers if the same has been found to be purchased with fraudulent means. In such cases, the funds shall be credited back to the same source from where these were received. 9. For the detailed Terms and Conditions applicable to Pepperfry vouchers, please visit on their TnC page (pepperfry.com/gv-tnc.html). 10. According to RBI's new guideline, users who have not undergone Paytm KYC will not receive cashback in their wallets. Visit the Pepperfry website to redeem the offer.